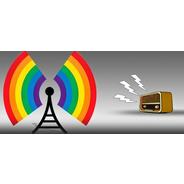 A radio that supports LGBT+ people. We play songs and poems about this topic. Song requests: goo.gl/forms/7mdVBO3AVGSPFrEN2 .